The electro/house specialist does what he does best on a resurrected Klakson, the label he runs with Panoramabar's Steffi. 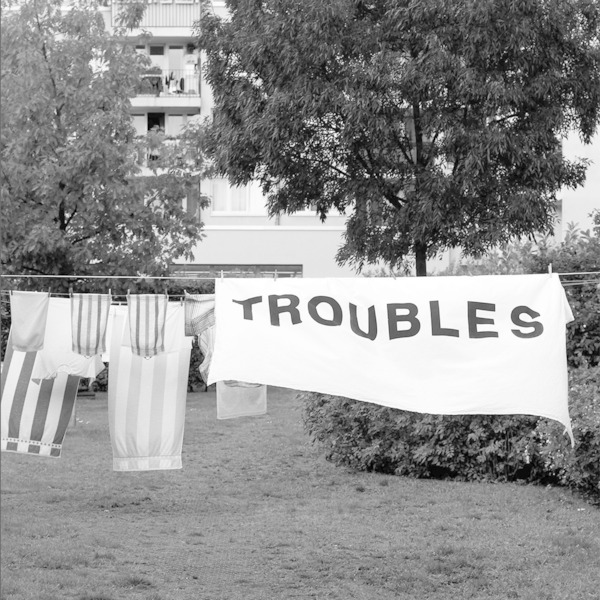 'Troubles' is the big funky one, rocking wobbly bass and those signature, swooping metallic filters and vocoder blues. 'Flashback' follows on a midnight or morning-ready electro-techno tip. 'Twilight Life' shuts the lights on the flip to be swarmed by trippy voices from the ether, something like a lost Other People Place joint, and 'Patternmaster' shows who's boss of the box with a straight-up electro essential.